“Does the train wake you up at 7 a.m.? 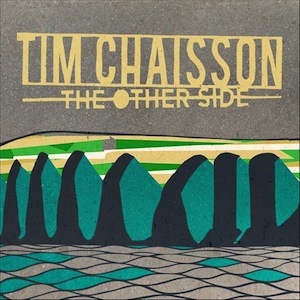 / Does the sound of the waves let you just sleep in?” Tim Chaisson inquires in a sympathetic warble on “Wherever You Are.” He’s talking about a girl, and so are the rest of these songs in some form or another. The Prince of Prince Edward Island’s newest release, The Other Side, climbs aboard today’s country music train, providing an easy listen with a slightly blasé aftertaste as Chaisson enters that perennial cycle of professed love and failed romance. There aren’t any instrumental revelations, but Chaisson does a beautiful job arranging his songs. A just-right shuffle runs in the background of “Blast Your Way Out,” and the interplay of sorrowful and shivering guitars on “Til The Sun Comes Up” warms the heart. Chaisson is at times upfront – “I’d be a fool if I didn’t kiss you right now” – and an emotional recluse at others. You can hear the changes in his voice, but not always in his playing; “Speak Easier” begs for an electric rhythm guitar that never comes, and across the record, the choice to remain almost entirely acoustic is a sacrifice of daring that prohibits The Other Side from breaking out of its comfort zone. But maybe that isn’t the goal here. After all, there’s nothing Chaisson does better than tuck us in for one of his love stories.